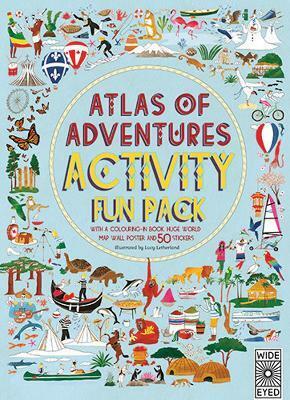 Get busy with this coloring book packed with maps, global wildlife, cultural activities and exciting adventures from around the world. Travel the world as you color in every continent and decide whether you'd prefer to stay in a treehouse, igloo or a lighthouse, whether you'd prefer to travel by camel, tuk tuk or hot air balloon and whether you'd prefer to party at the Rio Carnival, go trick or treating or row a Viking longship! Then, pull out the oversized fold-out poster and customize your world map with over 50 stickers as you plan your dream trip.